This Saturday, September 17th, is Batman Day! 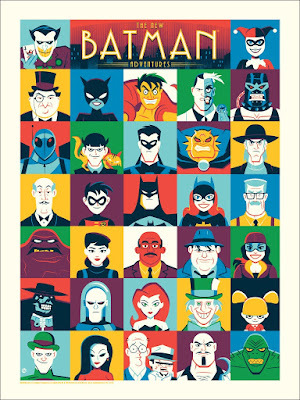 And what better way to celebrate DC Comics' Dark Knight of Gotham City than with a couple of new posters based on what many consider to be the quintessential version of Batman, Batman: The Animated Series and its follow-up series The New Batman Adventures. What’s really got The Blot excited for this release is Mondo is working on it with one of my all time favorite artists, Dave Perillo! While each print looks amazing on its own, I’m seriously blown away seeing them next to each other. 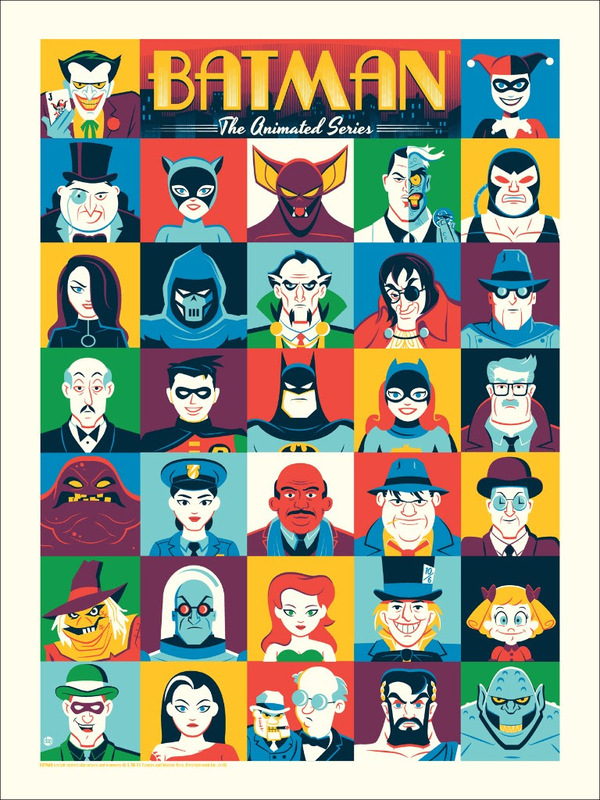 I love how Perillo was able to take all of Batman’s many supporting characters and rogues and highlight their appearances throughout the two animated series. Batman: The Animated Series by Dave Perillo is an 18”x24” hand numbered screen print limited to just 225 pieces. 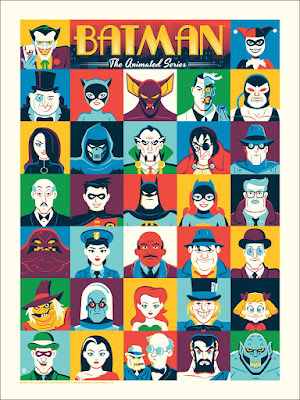 The New Batman Adventures is an 18”x24” hand numbered screen print also limited to of 225 pieces. Both posters go on sale at a random time today, Thursday, September 15th, at the Mondo online store for $40 each.